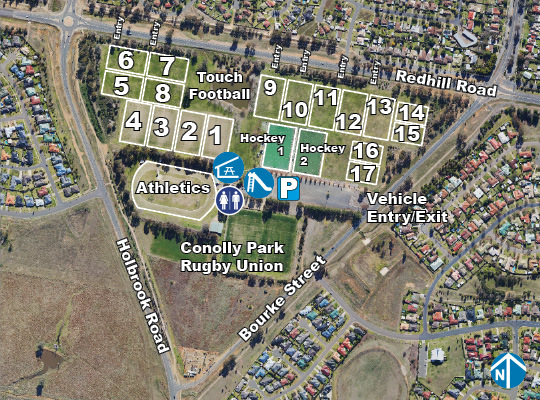 Jubilee Park is a large 30ha sporting complex containing synthetic hockey fields, touch football fields and athletics track, considered the best regional NSW turf athletics track. Note all synthetic Hockey Field bookings need to be made through Wagga & District Hockey Association. Note: Access to the Athletics Track is restricted to clubs and associations.